“Until justice is blind to color, until education is unaware of race, until opportunity is unconcerned with the color of men’s skins, emancipation will be a proclamation, but not a fact.” -- Lyndon B. Johnson. 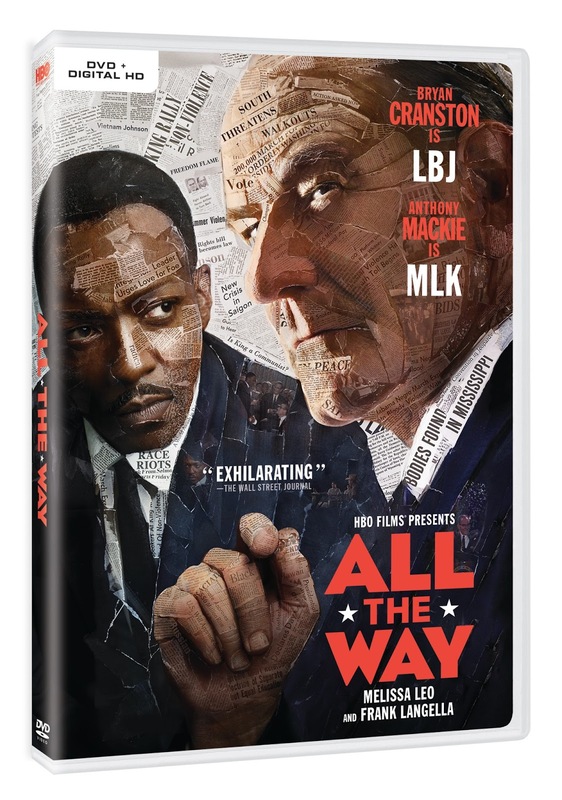 Following its critically acclaimed, award-winning Broadway run, All the Way (starring four-time Emmy® winner Bryan Cranston who reprises his Tony Award-winning role, is a riveting behind-the-scenes look at President Lyndon B. Johnson’s (LBJ) tumultuous first year in office in the wake of President Kennedy’s assassination. Bonus material on both sets a Historical Featurette and Bryan Cranston’s Transformative Video becoming LBJ. Hailed as “dramatically dazzling” (Baltimore Sun) and “powerful” (Chicago Sun-Times), All the Way was nominated for eight 2016 Emmy Awards® including Outstanding Television Movie, Outstanding Lead Actor in a Limited Series or Movie (Bryan Cranston, who reprises his Tony® Award winning role). The film follows LBJ during his early administration, as he stakes his presidency on what would be an historic, unprecedented Civil Rights Act. Johnson finds himself caught between the moral imperative of Dr. Martin Luther King, Jr. and the expectations of the southern Democratic Party leaders who brought Johnson to power. As King battles to press Johnson while controlling more radical elements of the Civil Rights movement, Johnson navigates the bill through Congress, winning a landslide victory against Barry Goldwater, but causing the South to defect from the Democratic Party. 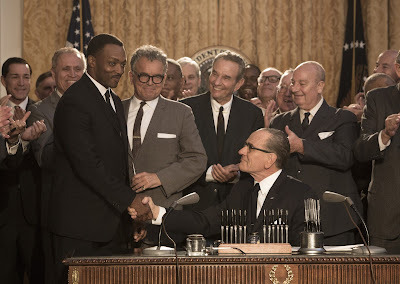 Co-starring with Cranston are Anthony Mackie (Martin Luther King, Jr.), Melissa Leo (Lady Bird Johnson), Bradley Whitford (Hubert Humphrey) and Frank Langella (Sen. Richard Russell). Additional cast members include Joe Morton (Roy Wilkins), Stephen Root (J. Edgar Hoover), Marque Richardson (Bob Moses), Aisha Hinds (Fanny Lou Hamer), Todd Weeks (Walter Jenkins), Mo McRae (Stokely Carmichael) and Spencer Garrett (Walter Reuther). The film was directed by Jay Roach (Emmy® winner for HBO’s Game Change and Recount) from a screenplay by Robert Schenkkan (Pulitzer Prize winner for “The Kentucky Cycle”; two-time Emmy® nominee and Writers Guild Award winner for HBO’s The Pacific), who has adapted his Tony Award-winning play of the same name. ALL THE WAY is nominated for 8 Emmys--more than any other TV movie--with one of the categories being Outstanding Directing for a Movie and Outstanding TV Movie. 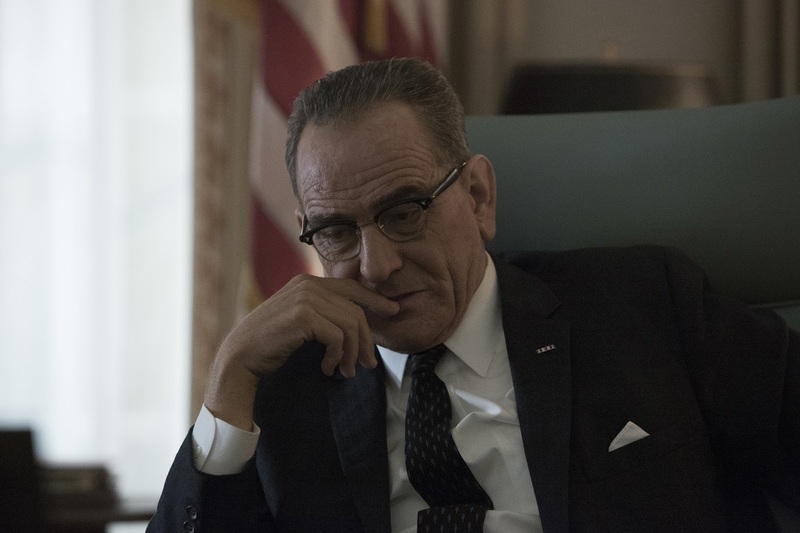 In the film, Bryan Cranston, who is also nominated, reprises his Tony Award-winning role with a riveting behind-the-scenes look at President Lyndon B. Johnson's tumultuous first year in office in the wake of President Kennedy's assassination.